One of my very favorite holidays is Thanksgiving. It’s really an amazing holiday. You don’t have to worry about giving gifts. It’s all about good food and quality time with family. 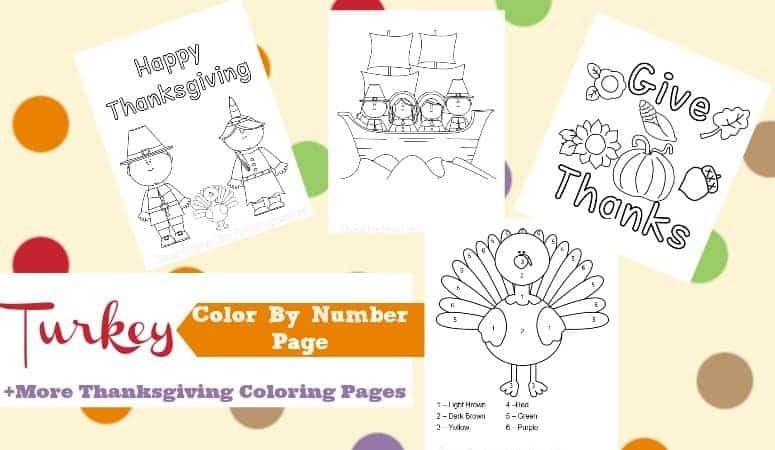 I love Thanksgiving activities. I enjoy decorating for fall because fall is my favorite season! The crisp air, the yummy smells of treats baking in the oven, and the changing colors of the leaves on the trees just speak to my heart. 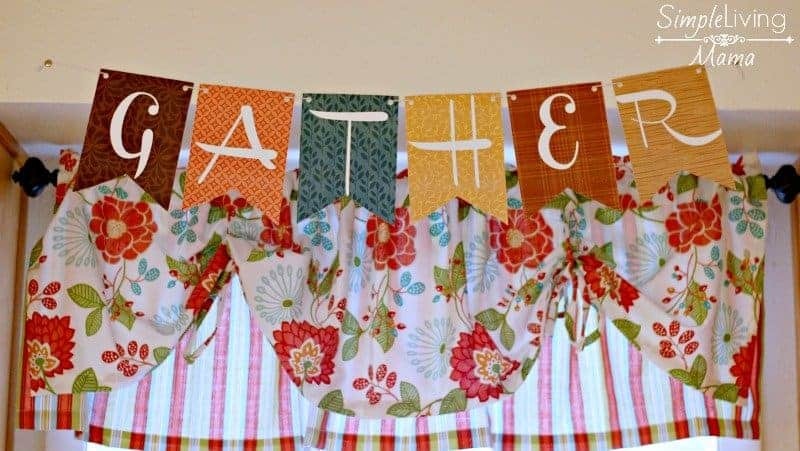 While decorating our house for fall this year I decided to make a pretty banner for our kitchen. 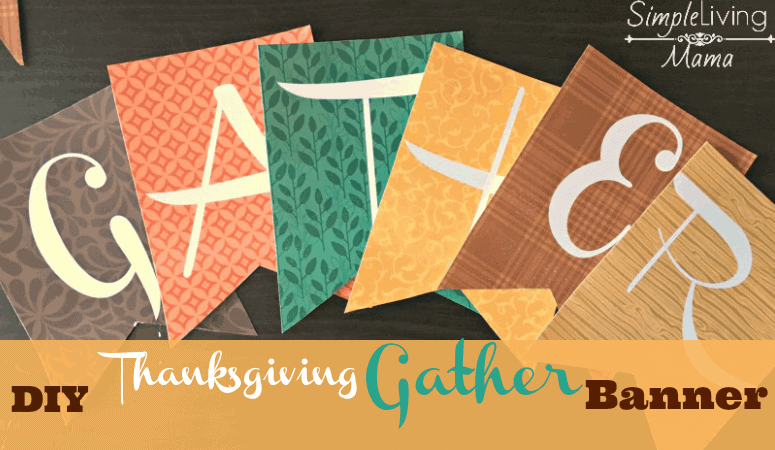 This Thanksgiving Gather banner is perfect for hanging in your kitchen or on your fireplace mantle. Let me show you how I made it! First, print the JPEG files on card stock. I made sure to print my files as 5 x 7’s, two to a page. The JPEG files are available for download at the end of this post for my newsletter subscribers. The next step is to cut out all of the banner pieces using scissors. 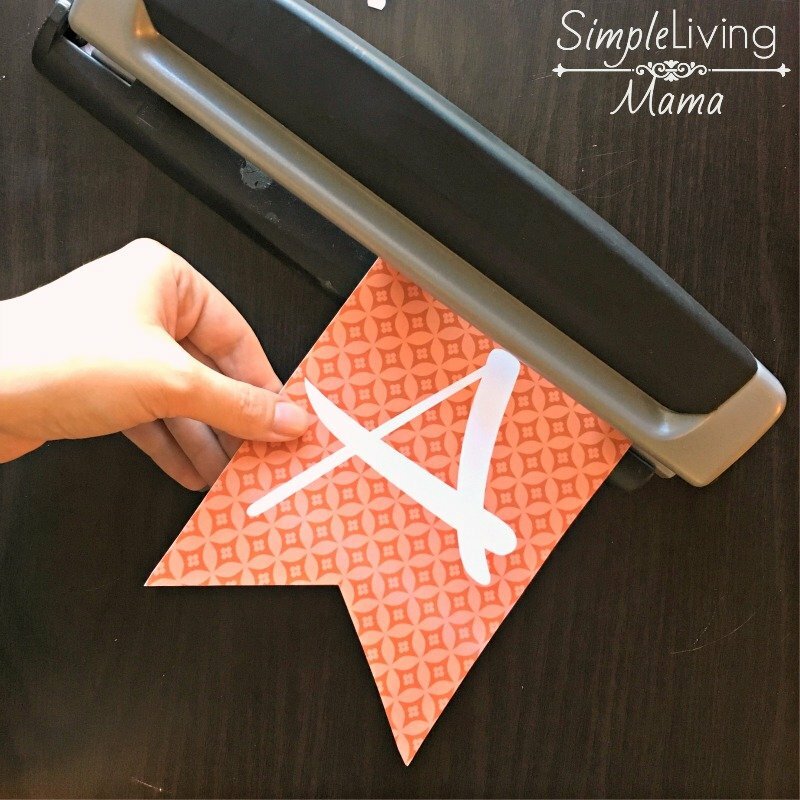 Next, you will want to cut out a triangle shape at the bottom of the banner pieces. 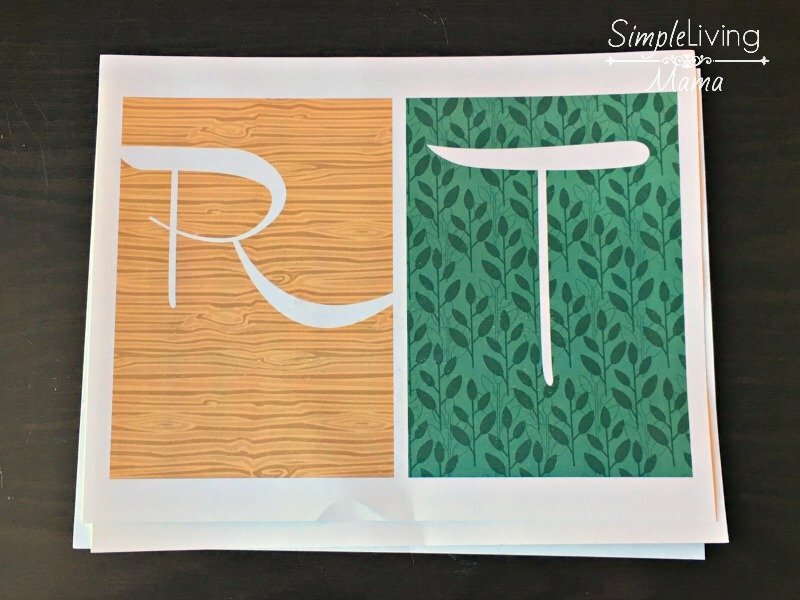 I started with the letter T, since it extends the furthest down the piece. I used a ruler to draw angled lines from the corners of the piece. Then I used scissors to cut out the triangle piece. 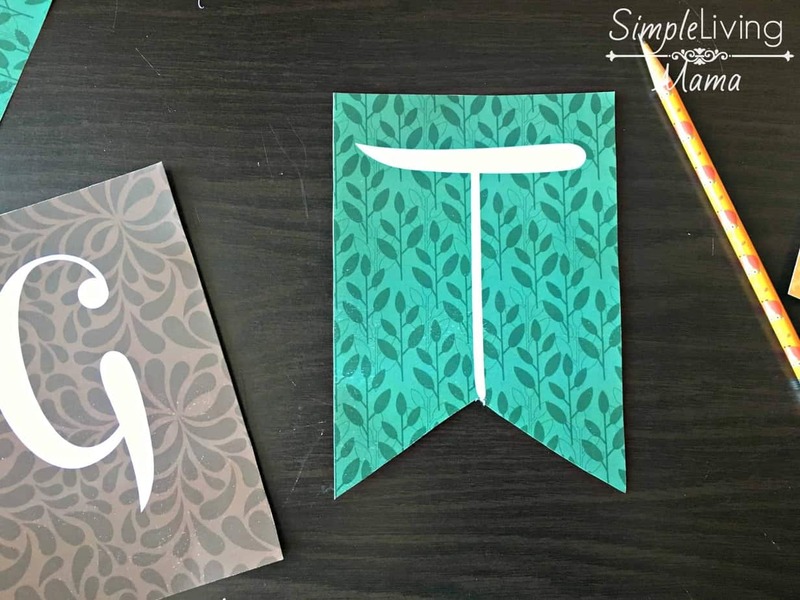 Next, I used the “T” piece as a guide to cut triangle shapes out of the rest of the banner pieces. 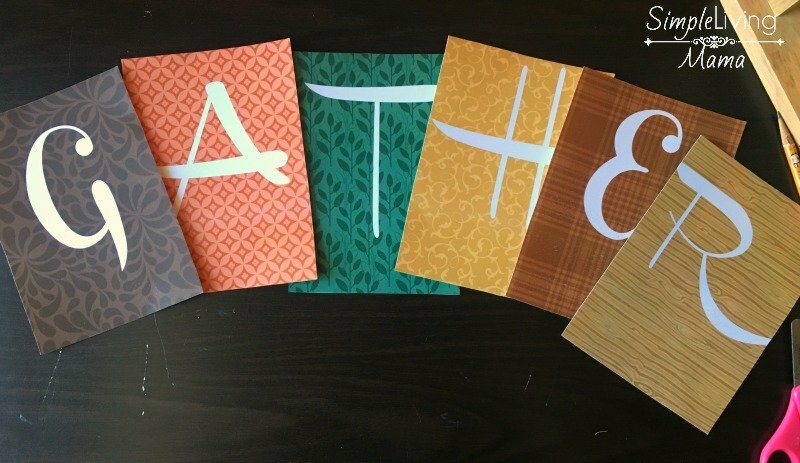 Here are all of the completed banner pieces ready for hole punching! 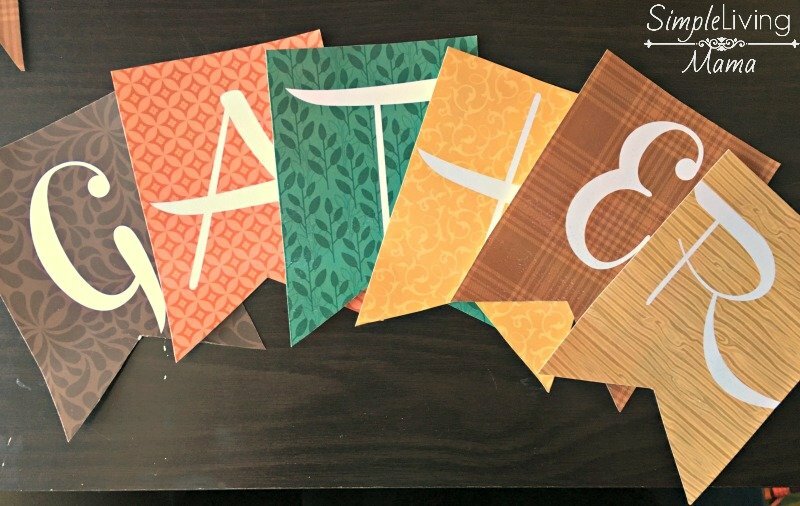 I used my three hole punch to carefully punch two holes into each banner piece. Then, I strung the banner on a piece of yarn. 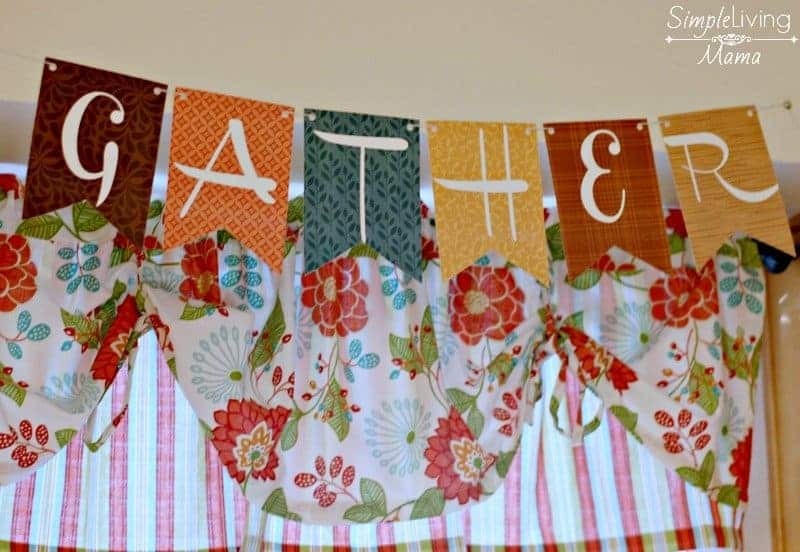 You could use twine, ribbon, or whatever else you have to create your banner! Here is our completed Thanksgiving Gather banner hanging above my kitchen window. I love hanging it in my kitchen because that is actually our gathering place. We spend so much time there. We cook, we eat, we do homeschool, we talk, we clean. I love my little kitchen, and I love gathering there with my family! Here’s another look at our banner. I love it! It’s such a simple decoration that makes a big statement!